The following are some letters and emails kindly sent by our clients. Original cards, letters and emails may be viewed at our premises. Dear Carl and Simon at Arrow Vintage Cars. Thank you so so much for the amazing service on our Wedding day. it was an amazing journey to remember in your beautiful cars. They were immaculate, early and your drivers couldn’t have been more helpful. We have and will recommend you to everyone! Thanks so much again! Wedding Cars – 1953 Rolls Royce and 1958 Austin Vanden-Plas Princess Limousine. Very good experience from enquiry to venue, the team at Arrow made it easy and simple to book. We hired the burgundy Cadillac sedan de Ville. The driver arrived early ready for us to leave when we wanted, and just let us flow. The driver was very friendly and knowledgeable about the car and was willing to answer any questions regarding the car, he allowed us to take photos when he arrived at home and when we arrived at the venue. He hang around till after the ceremony so me and my wife could get photos and he worked with the photographer so we could get the photos. 5 stars would highly recommend. My husband and I would like to say a huge thank you to the drivers and everyone involved in sorting the cars for our wedding day on 27th August. The cars were an extra special touch to the best day of our lives and the communication when sorting payments, was always great. We would highly recommend you to any friends getting married locally in the future. Marvellous experience throughout. The cars were amazing also,. Thank you so much for our beautiful cars we had on our Wedding Day – we loved them both! The drivers we had were really lovely and even dealt with my bags and running late. The bubbly on the way to reception was a really lovely touch too – thank you. Just wanted to drop you a quick note to say thank you for providing such beautiful cars and drivers that were so smart and professional. You have been a pleasure to deal with from start to finish and made our day truly special. Wedding cars: 1929 Pierce-Arrow and 1954 Rolls Royce. My wife and I would just like to say thank you for helping make our day so special. It was a dream come true, thanks in no small part to the beautiful car you provided. We’ll always remember our enchanting ride. I just wanted to thank you for the wonderful service you provided with the beautiful cars on my Daughters wedding day – 16th Feb. The cars arrived in plenty of time, so we didn’t feel rushed. The drivers were lovely guys and did a super job. The cars really added some extra elegance to some of the photo’s too. So once again thank you for your attention. I wouldn’t hesitate in recommending you. Thank you so much for helping to give us a perfect wedding day. You went above and beyond our expectations. The bottle of bubbly was also a very kind addition. We would like to thank you so much for being part of our wedding day on 20th November 2016. The cars were beautiful, your drivers were friendly and put us at ease and your service was faultless. My Bridesmaids had a great time travelling with Steve who they decided to call Steven! Thank you also for the surprise bottle of Champagne we got to drink on the way to the reception. Wedding cars: Pair of 1939 Rolls-Royce Wraith Limousines. Would just like to say a big thank you for the cars and the drivers. Forgive me as I cannot think of their names but they were amazing, the girls felt like princesses sitting in them and will definitely be recommending you. I just wanted to send you a big thank you for the cars for our wedding on 5 November. The drivers were lovely and accommodating, and the cars were perfect. Thanks so much. I just wanted to say thank you for the use of your beautiful Jaguar for our wedding day. Also thank you to John, the driver, who waited patiently for me whilst I was running just a bit late! Here are some of our friends and family photographs which include the car (we don’t have the professional ones yet). As you can see it looks amazing. I’m happy for you to use these and my positive feedback. Once again, thank you and best wishes. Thank you so very much for providing us with such stunning cars for our wedding! really finished the day off. You were a pleasure to work with from start to finish and your drivers were very professional. Just an email to thank you for your service yesterday. The driver was fantastic and friendly, he was very patient waiting for us to have our photos done and never rushed us. The bubbly was a lovely touch and we will certainly recommend you to anyone else getting married. Thank you so much for allowing us to use your utterly beautiful cars on our wedding day and the outstanding service your team provided. Everyone commented on how stunning the cars are and it made our day more special. With love and thanks. We just wanted to say what an amazing service you provided for our wedding. We had a wonderful day and your beautiful cars made it extra special and completed our 1920s theme. Please send our best wishes to your drivers who made our day so perfect. Wedding cars 1929 and 1930 Pierce-Arrow Limousines. I just wanted to say a big thank you to your drivers on Saturday, everything was so professional and went to plan and we thought the champagne was a very nice touch for when we came out of the Church, everyone thought the cars were fantastic. I can’t believe Simon’s wedding was two weeks ago. Thank you again for the wonderful Police car. Simon was thrilled (as was I)!. Thank you again. We have just returned from our honeymoon – oh! I want to go back! I just wanted to drop you a quick note and say a very big thank you for the car on our wedding day! It was perfect and beautifully decorated! The driver was amazing also so gracious and kind! It was all perfect! I just wanted to pass my thanks on to the two drivers on the day of my wedding (22/8/15). One of my Bridesmaids came over faint and we wouldn’t have known if one of the drivers hadn’t let us know as she was outside at the time, but more importantly she was in charge of my three year old at the time and while our focus was on her one of the drivers made sure he was safe. It was also frustrating that the photographer had requested they arrive early and then was a bit disorganised so didn’t end up taking any photos and the poor men had to hang around in 30 degree heat! Hi Carl, Just a quick thank you for our wedding cars last Friday to Crondon Park. We thoroughly enjoyed the ride., the driver was great and the cars were beautiful. I would not hesitate to recommend you. We had the best day for our wedding! Thank you so much for the loan of your beautiful car and driver. The bubbly was a wonderful surprise. We just wanted to write and thank you for your contribution to our daughter’s wedding yesterday. The Bride and Groom had a fantastic day and all the guests thoroughly enjoyed themselves. We will be very happy to recommend you services to our friends. Just wanted to say thank you for your services on Sunday. The car looked lovely and the driver was really nice and professional. Thanks again Nadia and John R.
Just a quick email to say thanks for supplying the 1951 Wolseley Police Car for my wedding day on such short notice. The car was a great surprise for my wife and Steve, the driver did a sterling job in fairly difficult weather conditions. Your car definitely added to a great day. We have just come back from our honeymoon. We just wanted to say thank you and a BIG thank you to John for being such a successful chauffeur! John made me (Bride) feel at ease. We had such a lovely day and a major part of it was having a beautiful car. Just a little note to say thank you very much for providing the beautiful cars for our wedding. Your drivers were consummate professionals and real gentlemen. It was especially lovely to have the Pierce-Arrow as James’ Grandfather learnt to drive in one! Many thanks once again and best wishes. I just wanted to thank you for the beautiful cars you provided for our wedding on saturday. They were really lovely and made us feel very special. Please pass on our thanks to both of the drivers. Just a note to say thank you so much for such a smooth running journey to Newland Hall and Roxwell Church (despite the Bride trying to be late!). The cars were beautiful and the poppies on the bonnet were such a perfect touch as the poppies were themed in the bouquets and button holes. Wedding cars: 1939 Rolls-Royce Wraith Limousine, 1929 Pierce-Arrow Limousine. I really appreciate the use of the classic wedding car, eveyone enjoyed their journey. John and I really enjoyed our ride in the car, it was nice to relax and chat to each other before going back for more photos. Just wanted to say thanks for all you did for David and Jerri on Monday, Jerri was blown away by the car and it is safe to say it was a hit all round. You were right it photographs beautifully. When I get a copy I will send you one. Thanks again for making it such a special day for them both. Thank you for all that you did for us for our wedding on September 27th at Stockbrook Manor. The Rolls-Royce was beautiful and the driver was lovely, putting me at ease! He was very accommmodating when the photographer wanted to spend some time with the car and taking us for a short drive – it was lovely to have some time together to take the day in. Thanks again. Love, Vicky and Tom L.
We would both like to say a massive thank you for being such an important part of our day. Thank you for the amazing service we received on our wedding day on 9th August. The cars were beautiful, the Chauffeurs were professional and friendly and you provided an all round excellent service. We would definitely recommend you! Just wanted to say thank you for the beautiful car last Friday, the service you provide is excellent. Will definitely recommend you. Thank you so much for the first class service you provided at our wedding on 24th May 2014. The drivers were brilliant and made us feel comfortable. The driver who was driving the Bridal car was so friendly and lovely, he really made me feel calm, especially when we parked up the road as we had arrived early, he chatted to me and my Dad which helped me to stay calm! I would definitely recommed you to family and friends. Thank you for the beautiful cars for our wedding. The service was perfect. Dear Carl, A Huge Thank You. Steve and I just wanted to say a huge thank you for providing the cars for our wedding on Saturday 6th September. The cars were absolutely beautiful and really complemented the overall timless elegance theme of our day. The glass of fizz was also a lovely touch! Your drivers were so friendly and professional and this contributed to the very smooth flow of our day. So, once again, many many thanks and best wishes. Just a card to say thank you to you and your staff on your prompt arrival with those beautiful cars on Saturday. They marked the start of a beautiful day on our ride to Stockbrook Manor. We felt like royalty as we drove through Billericay High St! The vehicles certainly turned heads. Unfortunately most of the guests didn’t see the cars as they were shuffled to the lawns at the back but I know Zoe and Chris thoroughly enjoyed their ride up to Stock. Brilliant! Thank you so much for providing the beautiful 1930 Pierce-Arrow Limousine for our wedding. It looked stunning and the service the driver provided was fantastic. It was really lovely that you allowed us to keep the tax disc from the car as it ran out on our wedding day and Gavin is a car fanatic. That was really special. Thank you so much for your cars making our day even better. Just a quick “thank you” for providing us with such wonderful cars for our wedding day. It was a fantastic professional service. We wanted to write to you to say thank you for providing such a great car for our wedding. It really added to the day and we enjoyed our first glass of bubbly together as Mr. and Mrs! Many thanks for providing us with two of your classic cars – they both looked amazing and everyone commented on them. Also many thanks for providing the Champagne for Sarah and I, that was a lovely gesture. Both your drivers were great and couldn’t do enough for us. Once again many thanks. We just wanted to say a very big thank you to you and your drivers for our Daughters wedding on Friday in Southend/Hullbridge. Your cars were beautiful and the drivers exceptional. The bubbly for newly weds on their return to the reception was a lovely touch. They had a wonderful day and everyone enjoyed seeing the cars. Thank you for the use of your beautiful cars. As you can see from the picture they really did look superb. Wedding cars 1929 Pierce-Arrow Limousine, 1982 Daimler DS420 Limousine. Darrin and I would like to thank you for the great service you gave us on the day of our wedding back in April. The car was lovely and admired by everyone. Also the weather was so good we were able to have the top down. Just a little note to say a big thank you, we were so impressed with your service. The driver on the day really went out of his way to make our day so special. Apologies for the delay in sending this card to you. We just wanted to say a big thank you for the wonderful service you provided on our wedding day. Both cars were absolutely fantastic and it was a great pleasure to travel in such style on our wedding day. Thank you for the use of your 1930 Pierce-Arrow Limousine on 30th November 2013 for our wedding. The car looked lovely and was much admired by our guests and looked great in our photos. Thank you also for your help when we came to view the cars all the way back in April/May 2013, you couldn’t have been more helpful. Just a note to say thank you. The cars were lovely. The drivers arrived nice and early as we requested. They had a long wait but were very patient and polite. It was a pleasure to be driven in such lovely old cars. I have enclosed a few shots of the day showing off your lovely cars. Thanks to you and Steve for making my sister Eliane’s wedding day so perfect. You remembered everything including the longest route home after the reception. Eliane was bowled over with the surprise wedding car and for me to see her so happy made the car worth every penny. Take care and may the car deliver many more happy Brides this year! We would just like to say a very belated thank you for making our wedding day special. You and your drivers are a major asset to your company and we couldn’t have wished for better driverswho took care of all our needs. Carl, Belated thanks for your services on 2nd February 2014 for Nikki and Craigs wedding. Your timings and services were spot on. Craig and his best man enjoyed the ride. Ian was telling me how he didn’t stop asking questions on their way to Friern Manor. Thanks once again and best wishes.Dennis S.
Thank you for supplying us with your stunning cars on our wedding day 1st September at Newland Hall. We all had such a pleasant drive to the venue. Also thank you for all your help and letting the dog travel with Mike. You were a pleasure to work with. Thanks for taking Kate and the Bridesmaids to Newland Hall, it was amazing. Love, Kate and Alex G.
We just wanted to say what an amazing service you provided for our wedding. We had a wonderful day and your beautiful cars made it extra special and completed our 1920’s theme. Please send our best wishes to your drivers who made our day so perfect. Thank you. I would just like to thank you for making Wendy’s day so special, the cars were lovely and the drivers were very nice. Thanks again, Anita. We would just like to say a massive thank you for the 1929 Pierce-Arrow chosen for our wedding. It really added that special touch to the day and we have such fond memories of being driven in it. Thank you so much for the use of one of your amazing cars. We had a lovely drive to the venue as a family and the photos with the car look amazing. We just wanted to say thank you so very much for the hire of your incredible Pierce-Arrow Limousines on our wedding day. They looked wonderful and the drivers were also excellent. We would just like to say a big thank you for providing us with your wonderful Buick and Humber. They added a special touch to our wedding day! A big thank you to your great drivers too (and the Champagne surprise). Thank you so much for our beautiful car and the fantastic service we received on our wedding day. The day was perfect and we didn’t want it to end. Much love Tracy and Baz A. It was fab to be able to come and see the cars before we decided and it looked great on the day! The driver was fab too, he arrived very early and was happy to wait whilst we all got ready and stopped in a car park for us so I didn’t arrive before my guests. Thank you for a wonderful day, our perfect car and Lovely driver Gerald. I would just like to pass on my (belated) thanks for the car and service provided on my daughter’s wedding day, Friday 6th September. The car was fantastic and looked superb and the driver on the day was absolutely brilliant, he got us there spot on time and his calm demeanour and professionalism was just what my daughter needed. I will recommend your services to everyone that I can and I sincerely hope that I can help get some more business. Thanks again for helping make what was a lovely day. Wedding car: 1939 Rolls-Royce Wraith Limousine. Just wanted to say a big thank you, the cars were amazing and I certainly got the “WOW” factor I was after. The Guests all commented on how amazing the cars were. The drivers were such gentlemen. Wedding cars 1934 Rolls-Royce and 1929 Pierce-Arrow. Your driver was so kind and lovely (even though we were running late) he still managed to get us there in time to get married! Thank you for the bottle of Champagne on th e way back…..for me it was very much needed after the stress of trying to get eveyone ready that morning! I will be recommending you to all my friends and family if ever they need a car. Thank you for the beautiful cars you supplied for us on March 30th 2013. The drivers were amazing, we had such a fantastic day. Just wanted to say thank you for supplying us with two of your brilliant cars. They looked very classy and impressive and fitted in with our day perfectly. Your prices are very good as was your service and would definitely recommend you. Many thanks Chris and Cheral T.
Just wanted to say a huge thanks to you and your drivers. The cars looked amazing and I felt like a Princess in the Rolls. To Carl and all staff at Arrow Vintage Cars. Just wanted to drop a line to say thank you for Saturday. The cars looked fantastic and the service was excellent. Katie and Sam were delighted with the Champagne – a nice touch; we all had a wonderful day! Mike and I would like to say a big thank you to you and your team at Arrow Vintage Cars for making our day very special. The car, a 1938 Rolls-Royce Wraith Limousine was fantastic, the Champagne an unexpectedsurprise. Our driver was professional and charming and provided a necessary umberella in the snowy weather! We both had a wonderful day. I just wanted to say thank you so much for everything you did for us on our wedding day. We had an amazing day, so thank you again. To Carl and all the team at Arrow Vintage Cars. Wow- what an amazing car the 1938 Rolls-Royce Wraith is! We had a fantastic time travelling to the Church, myself, my Dad and two bridesmaids and the journey back to the reception for Philip and I was truly romantic – we enjoyed every minute of it! Thank you so much to our driver and for the refreshing glass of fizz also-just what was needed! Wishing you all the best. I would just like to say a big thank on behalf of myself and my new husband Chris for the service you provided us on our wedding day. The cars looked absolutely beautiful on the day and turned up nice and early with plenty of time to get to the venue. I can’t remember my drivers name but he was very professional and kept us calm throughout the drive. Thank you so much for your professionalism and allowing us to travel in your stunning cars. Thank you. Just to say thank you and your team at Arrow Vintage Cars for adding to the success of Simon and Kath’s wedding on Saturday. The Bride was highly delighted and I gather the Driver was charming… you even managed to bring the sun out! The cars and the Gentlemen driving were amazing! We had a great day and a huge part of that was due to the transport. We have a few friends getting married next year so we should be sending some business your way. We would just like to say thank you for all the help and professional service we received. You made our special day perfect. Hope you are well. We just wanted to drop you a quick email to say thank you so much for providing a first class service to us on our wedding day. The 1930 Pierce-Arrow Limousine was a lovely car and both myself and my Dad really enjoyed our ride to Stock Brook. You were so professional and friendly and we really appreciated you staying behind for photographs afterwards. We just wanted to say thank you for all your help over the past few months and for making our wedding photographs with such a fantastic car. We will certainly be recommending you to friends and family who have weddings in the next year or so. Thank you for providing the cars for our wedding, they were stunning and fantastic to travel in. Both drivers were incredibly polite and ensured our journey was smooth and on time. So many people commented on the cars and we will certainly recommend you to others. Wishing you a happy 2013. Thank you so much for helping to make our wedding day so special! The drivers were fantastic and we thoroughly enjoyed being in the cars! They look wonderful in our pictures. Thank you so much for providing the cars for our wedding day. The drivers were amazing and the cars perfect. We couldn’t have asked for a better service. Thank you for helping to make our day perfect. Thank you so much for your contribution to our wedding day and your professional service. You exceeded our expectations on the day, the vintage cars were a joy to ride in and the drivers were excellent. The Corvette was awesome! Just a quick note to say thanks for looking after us so well on Saturday, the girls (cars) were beautiful, everybody was admiring them, they really added to the atmosphere of the day. The Chauffeurs were most helpful and made us feel completely at ease, a really nice experience. I won’t hesitate to recommend you if anybody ever needs cars, the whole day was wonderful from start to finish. Mrs. Judith W. . Location Billericay, Essex. Cars: 1939 Rolls-Royce Wraith Limousine, 1953 Rolls-Royce Wraith Limousine, 1954 Rolls-Royce Wraith Limousine. Thank you so much for your professionalism and the service you provided for our special day – it really was excellent and you went out of your way to accommodate our 8 bridesmaids. Just a quick email to say thank you ever so much for everything you did for us on our wedding day. The car was beautiful and Catherine loved it when it turned up at the house to collect her. The neighbours all came out to have a look. When the car picked up Catherine’s parents it also brought their neighbours out to have a good look. The Champagne was a lovely touch also. Many thanks again and I’ve already recommended you to a couple of work colleagues who are due to marry in the coming year or so. Best wishes Andy and Catherine E.
Emma and Ben’s wedding. We all had a fantastic day and the cars were perfect. Please thank your two drivers for being so helpful and beautifully attired. I just wanted to say a big thank you for the two cars which we hired from you for our big day. The cars are beautiful and smooth to ride in. The drivers were early, were polite and friendly and very professional. They are a credit to your company. My family and I felt very safe and comfortable through the duration of the journey and I just wanted to say a big thank you for making it so easy on the day and giving me one less thing to worry about. Thank you. Just a quick email to thank you for the beautiful cars you supplied for our wedding in October. They looked amazing and we arrived in perfect style for our vintage wedding. The drivers were prompt and professional. I am so glad we booked our wedding cars with you. Made our day even more amazing! Just got back home after our daughters wedding today at Langtons and had to write this straight away. Can’t praise you all enough at Arrow Vintage Cars – the cars were excellent, the drivers were superb and very professional. The Groom and best man absolutely loved the Cadillac and my daughter loved the 1934 Rolls-Royce. Everyone was taking photo’s of the cars even when the Bride and Groom were not in them – they nearly stole the show! Thank you so much for helping make our daughter and her new husbands day. We will recommend you to everyone we can. Thank you so much for your beautiful Pierce-Arrow Limousine it was a wonderful journey to Brentwood Registry Office. Dudley did you proud! Do you have a write up on the vehicle history as a momento for my wonderful wedding day memories? I know Peter picked the car up from the docks for you in 1994 we have a picture of it when it was delivered still in navy blue – so different! Dear all at Arrow Vintage Cars. We would just like to say a huge thank you for the service you provided on our wedding day. The cars were perfect and your drivers very professional, our day went without a hitch. we really could not have asked for anything more. I would just like to drop you a line to thank you very much. My daughter Sally G. married Jim H. at Holy Trinity Church Rayleigh on and the exceptional service provided by your beautiful vehicles and very dignified attendants provided the perfect setting for the day.They were also very surprised to have the Champagne in the car on the way back to the reception and this made their day more perfect. Once again my husband and I would like to thank you and your colleagues for making their day extra special. Just a little note to say thank you very much for the beautiful wedding car you provided for our big day. We could not have asked for a better service from yourselves and have already recommended you to friends! We thought you might like to see the enclosed photos!. Thank you for letting us have your cars as part of our special day. They were beautiful. We just wanted to say thank you so much for our wonderful wedding cars. It made the day even more special. Both drivers were warm and friendly too. It was a lovely surprise for us to have champagne from the church to the venue! We will highly recommend you to others who need wedding cars. This is a rather belated note to say thank you both for driving us in your stunning Rolls Royces on our wedding day. It really was a dream day, and the beautiful cars and professional driving were one of the highlights we shall never forget! Our parents, bridesmaids and page-boy were all delighted by their journeys with you too. It really did help to make our day very special indeed. Here’s wishing you well for the approaching Summer season! Best wishes and warmest regards from Germany. Just a note to say thank you so much for the service you provided for my daughter’s wedding in December. We really appreciated all that you did to provide the cars in such adverse weather conditions. Your drivers were excellent and it was a lovely day. Thank you so much for supplying the amazing cars on our wedding day, they looked fantastic. Please pass on our thanks to the drivers as I think in all the excitement we probably didn’t say thank you properly before they left. Just a small note to say thank you so much for the fantastic service you gave on our special day and the run up to it. The car was beautiful and helped make our day extra special and the driver was very professional. Steve and I wanted to send you this card to say thank you so much for the vintage car you supplied for our wedding on August 30th 2010. The car was even more beautiful than we remembered when we booked it and the driver was exceptional. He was so calm and professional and really made us feel at ease (especially as we were driving to the Church!). We will be highly recommending you to all our friends. We would just like to say thank you for providing the car for us for our wedding on 8th of October. The 1928 Buick Monarch Phaeton was absolutely fantastic, everyone loved it. We had a wonderful day and the pictures with the car looked great. Thank you and your team for making my daughter’s wedding day so special. Her dad and I enjoyed the luxury of the vehicles for our journeys – he with Gemma and me with the bridesmaids! The (Cadbury) purple ribbons on the day were the finishing touches. With very many thanks. Thank you very much for getting us to the church and wedding reception venue in style and comfort. The car was beautiful and we really were not expecting the champagne, so an even bigger thank you. The driver was very professional and we would recommend you to anyone. So thank you. Thank you very much for the friendly and professional service on our wedding day. Many thanks for providing two superb cars for our wedding day. I just wanted to thank you for the wonderful car you provided for my wedding on 24th April – it was beautiful and in fantastic condition, your service was excellent and I would not hesitate to recommend you to others. We had a wonderful day and will remember it forever. Thank you so much for the wonderful service your driver gave us on our wedding day! he was brilliant! the car made our day more special. Many thanks for the car yesterday, the 1934 Rolls-Royce, it was the colour that Penny wanted. Everyone just loved the car, so thank you very much, it was also such a lovely surprise for everyone, it was a shame it rained but our weather is so unpredictable! Hi, we would just like to say thank you for the car provided to us on Saturday 6th August. The driver was very professional. It was also a lovely surprise to be offered champagne on our way to the reception. Myself and my new husband would like to thank you for making my dream come true on my wedding car with the Rolls-Royce Silver Wraith. I felt like a true Princess for a day. I found it some comfortable for the one and a half hour journey from my house to Channels. Your driver was very helpful and polite and made me feel at ease. Your service was remarkable. To all at Arrow Vintage Cars. Thank you so much for everything you have done for us on our wedding day. Your cars are outstanding and your drivers are extremely professional and the bottle of Champagne made our journey even that bit more special. Just a little note to say thank you for your part in making our wedding day so special, all four cars were spotlessly clean and the Chauffeurs were all friendly whilst remaining professional at all times. All our guests were impressed. Antony and I were both completely happy with your service and would not hesitate to recommend your company to family and friends in the future. We just wanted to say thank you for the lovely car we had on our wedding on 26th April 2011, it was lovely to ride in the car, everyone admired it and thank you to the driver for being so informative on details about the car and providing a top class service to us. It was a great experience. We used your company on 7th May 2011 and hired a vintage Rolls-Royce for our wedding day. We just wanted to say a great big thank you for the wonderful service that you provided, the car was immaculate, arrived in plenty of time and the driver was smartly dressed and did his best to put us all at ease. The champagne after the ceremony was a wonderful surprise and went down very well. We will certainly be recommending you to anyone who requires your services in the future. We apologise for the delay in writing to you as we are just catching up with the paperwork after the wedding and Christmas. We just wanted to thank you so much for the service you gave us for Joanna & Roman’s wedding. They had the most wonderful day and everyone thoroughly enjoyed their rides in the cars. The drivers were very helpful and prompted Jo as she nearly left for the Church without her bouquet! The photographs are very good and I enclose one of the happy couple in the car which is particularly nice. Thank you too for your help before the wedding, we did so enjoy seeing all your cars. The cars looked amazing and it was so nice that my new husband had a chance to go for a spin in the car with me after the ceremony. We would like to say a big thank you for the wonderful service. The Chauffeur was very helpful and efficient, he kept the mood very calm all the way there. The Bridesmaids, myself and the Groom were very comfortable in the car and it added that touch of class and elegance to our wedding. The orange ribbon was perfect and worked well with our colour theme. Your company is well worth recommending to friends and family. Thank you for making our wedding day so special with the two lovely cars! I just wanted to drop you a quick line to say what a pleasure it was to travel from the church to our wedding venue (Ye Olde Plough House) on our big day (Thursday, 09th September). The 1929 Pierce-Arrow Limousine was a real treat and worth every penny we paid for the luxury it provided! I would also like to comment on how polite and charming your driver was and that it was a real surprise to receive a lovely cool glass of champagne upon getting in the car. Many thanks for your part in our very special day. We just wanted to thank you for the fantastic service we received from Arrow Cars on our wedding day. The cars were beautiful and your drivers were so professional. Thank you for helping to make our day so special. 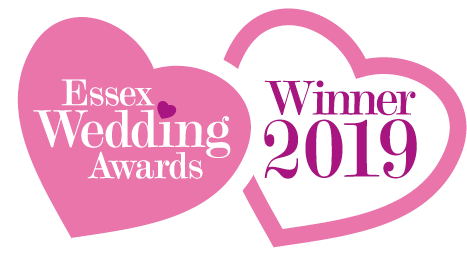 We will definitely be recommending your company to any future brides or grooms. A big thank you for providing us with 2 of your lovely cars yesterday. We had a lovely driver who knew exactly what his role was, especially as we had a good run and arrived early. He took us on a longer drive and allowed late guests to pass and enter the venue, before allowing me to be seen out of the car. I have attached one of the photos, as the car shots are some of the best that capture the dress and scene. Just a quick note to say a huge thank you for the beautiful car we were lucky enough to be able to get on 24th April 2010 for our wedding. We were so last minute and yet the service we received from you was fantastic. I am sorry we do not know the driver’s name, but once again he was also outstanding. The champagne went down a treat. Thanks again for the great service. You will be highly recommended. Where and how do you start to praise a company that has a fleet of cars that are kept in a prestigious condition, the Chauffeurs must be hand picked because they are amongst the finest gentlemen in the country, and above all that pack a very special surprise for the happy couple after the ceremony included in the price. My recommendation to anyone wanting a wedding car is contact and visit Arrow Vintage Cars, you will not be disappointed. Thank you so much for your amazing service! Your cars are beautiful and just added to the magic of the day! Truly wonderful group of people! Just wanted to say a huge huge thank you for the use of your lovely 1954 Jaguar on our wedding day, Saturday 3rd April 2010. The car was lovely and the Champagne was an added bonus. Please pass our thanks to the driver. The car was just beautiful and provided some gorgeous pictures. Thank you so much for helping us to create our dream day. Just a note to say a big thank you for our three beautiful cars on 3/4/10, for Ria and Nick’s wedding, they arrived gleaming, on time, and with three happy drivers. Thank you so much for your true professionalism, we will gladly recommend you to our friends and family. This is just a little note to say the biggest thank you for the use of your beautiful cars on 20th March 2010. The drivers were so thoughtful and really eased my nerves on the way to the Church! We can’t thank you enough for making our day even more special and will definitely be recommending you to our friends! Just a note to thank you so much for the fantastic and professional service we received for our daughter Catherine’s wedding on Easter Sunday 4th April 2010. The cars were absolutely beautiful, who would imagine that somebody I had worked with at the Bank of America would chauffeur our daughter, it was lovely to see you after all these years and I would highly recommend you. and our driver was a real gentleman and so polite. It was a great part of my day and I’ll never forget it. I only hope one day I have another reason to book one of your cars for the awesome experience. Really can’t thank you enough! We just wanted to say a big thank you for making our wedding so special on Saturday. The cars were beautiful and the drivers were true gentlemen and the ride in your lovely cars will be a memory we treasure. Everyone commented on the cars and I will certainly be recommending Arrow Vintage Cars to anyone getting married! Thank you so much for your beautiful cars, you helped to make the wedding day the perfect special day it was. I am writing this email to send my thanks for the impeccable service we received on our wedding day on 19th December 2009. I am so glad you made it with all the snow and wanted to say thanks for going the “extra mile” to make it perfect. I have included some pictures of your car which I thought you might like. Just a note to say thank you for your excellent service on our wedding day. The bubbly was much appreciated! Thank you for an excellent service, our driver was fantastic and at all times very professional. We hired your 1929 Pierce-Arrow for our wedding on August 2nd 2009, and just wanted to say thanks for such great service and for enabling us to have such a beautiful car. We had lots of positive comments about the car and have recommended you to friends who have co-incidentally chosen exactly the same one! Thanks again for contributing to our special day. I am writing to thank you for the superb service you provided for my Daughters’ wedding on 16th of August this year. The champagne was an unexpected, really nice touch and the Chauffeur was brilliant. When we came to view the cars, my husband said it was the best car show he’d been to for a long time! We wish you and your colleagues all the very best for the future, and will certainly be recommending your company. Thank you very much for providing our wedding cars. They were just perfect and everyone commented on how lovely they looked. Thank you also to both drivers who were fantastic. Thank you so much for your lovely cars, wow they were amazing! and your drivers were the best. It made our day so much better. Thanks once again and we will be recommending you to everyone who asks. When it comes to being extra nice, you have the perfect touch! Thank you so much for your service. The car was lovely and the driver was a gentleman. I just wanted to say a huge thank you to you and the drivers who provided transport on our wedding day. The cars were beautiful and I felt like a princess arriving at the venue. Thank you Arrow Vintage Cars. Thank you so much for providing us with such a beautiful car (1954 Jaguar) on our wedding day- when we came to choose a car from your fantastic fleet, you were so friendly and helpful and on the day the driver was brilliant- nothing was too much trouble. We cannot speak highly enough of the service you gave to us. We just wanted to say a massive thank you for all your help on our wedding day at Three Rivers on 2nd January. Your help and understanding with regard to our horse and carriage problems made our day run perfectly but it could have been a disaster without you and your lovely driver’s help, our thanks once again. Thank you for all your hard work on the day of our wedding. We had a wonderful day and the Rolls-Royce was beautiful. The driver was on time and he did a great job, unfortunately in the rain, at getting us to the Church on time. From the Church to the reception was a very lovely drive as well and we were very impressed with the car. Once again thank you very much, we had a brilliant day and we are very pleased you were a part of our big day. I just wanted to send you an email to thank you for supplying the lovely cars on my wedding day. The service was fantastic. The drivers arrived very early as to not panic anyone and they were so polite and very helpful. I would definitely recommend your service to friends and family. Thank you so much for all you did on our wedding day on 18th September 09. Thank you for helping to make the day so special. Thank you so much for your services at our wedding on October 8th 2009 at Crondon Park. Your cars and your staff were amazing and it really made our day extra special. Thank you once again-hope you like the enclosed photo. I would just like to say a really big thank you to you all. The car that I had for my wedding on Saturday 10th October was a complete surprise to me, it was a wedding present from my Brother and his girlfriend. I had the cream 1929 Limousine and it was perfect, my driver put me and my father at ease and the journey to the Church and wedding reception was lovely. Once again a big thank you to you all for making my day perfect. Just a brief line to thank you for the superb service that you provided us with on the 19th September re our wedding blessing. I cannot speak too highly of your excellent driver for the way he looked after us. Thanks again, and we will certainly be recommending you to others. Thank you for making our wedding perfect. Both cars we had were lovely. Big thanks to the two drivers we had for the day. I would just like to drop you a line to say thank you very much. My Daughter, Sally married Jim at Holy Trinity Church in Rayleigh on June 18th and the exceptional service provided by your beautiful vehicles and very dignified attendants provided the perfect setting for the day. They were also very surprised to have the Champagne in the car on the way back to the reception and this made their day more perfect. Once again both my husband and I would like to thank you and your colleagues for making their day extra special. We just wanted to thank you for the lovely car we had on our wedding on April 26th, it was lovely to ride in the car, everyone admired it and thank you to the driver for being so informative on details about the car and providing a top class service to us. It was a great experience. We used your company on 7th May 2011 and hired a vintage Rolls-Royce for our wedding day. We just wanted to say a great big thank you for the wonderful service that you provided. The car was immaculate, arrived in plenty of time and the driver was smartly dressed, polite and did his best to put us all at ease. The champagne after the ceremony was a wonderful surprise and went down very well. We will certainly be recommending you to anyone who requires your services in the future. I just wanted to say a huge thank you for the hire of your car Friday and also a big thank you to the driver, it was an amazing car. We just wanted to say thank you so much for our wonderful wedding cars. It made the day even more special. Both drivers were warm and friendly too. It was a lovely surprise for us to have champagne from the Church to the venue! 1929 Pierce-Arrow and Vanden Plas Princess. We would like to say a huge thank you for the service that you provided on our wedding day. The cars were perfect and your drivers very professional, our day went without a hitch, we couldn’t have asked for anything more.